Home FROM REAL TO REEL! He dubs filmmaking as his profession, passion, vision and everything! 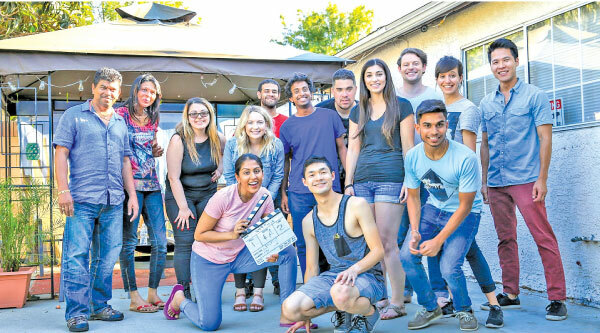 Other matters else in life falls in second place for Los Angeles-based director, producer, cinematographer, and screenwriter of Sri Lankan origin Lakpathy Wijesekara. His entrance to the digital arena happened at a young age when he got the opportunity to act in ‘Sellam Gedara’ and ‘Kopi Kade’. He was equally intrigued about what was going on behind the cameras and at one point he had actually requested Lakshman Maththumagala of the Independence Television Network (ITN) to let him direct ‘Sellam Gedara’. “I was 12 then. Maththumagala said “no” for obvious reasons but then I produced my first piece of work with a handheld consumer camera and edited it on Windows Movie Maker. The saying “I’ve all the demons of hell in my head. My only salvation is to vent them on paper” included in Philip Kaufman’s 2000 American-British-German period film ‘Quill’ goes with me as well. The imagination in my head was endless so I found film to be a great media to express them,” Lakpathy recalled the roots of his passion with a smile. His stint at Royal College, Colombo, honed his talents. He was the President of the Sinhala Literary Association and the head of The Royal College Video Team. He pioneered the Le Royale Youtube Channel which covered hundreds of events at school. “One problem that I observed at school was that when the event was over, the energy and time we invest as students, in organising all the creative, sports or social service activities, boiled down to memories alone. Le Royale Youtube Channel was the largest project that I handled during my days as a Royalist. This was during the early days of Youtube when only a few people knew about media platforms. Youtube wasn’t even part of Google at that time. My creative solution to the problem was to create an online video archive so that we can refresh those beautiful memories and “live” those beautiful moments over and over again. There are a lot of sports, clubs, societies and social services based events at Royal College. We covered virtually all the events which flooded the school calendar : Arts days, Science days, cricket matches, choir events etc. We filmed the events during the day, edited them and uploaded them on Youtube overnight. We were also able to live stream rugby and cricket matches to fans all around the world,” Lakpathy explained. By the end of his senior years he and his team had uploaded more than 345 videos to Youtube. He had also done around 40 live streams. “I didn’t carry a school bag those days. Instead I carried a 20llb camera bag to school alone. I was surrounded by a group of friends that had the “film bug” .They are still continuing their careers in the creative arts fields. We kind of made our own film school with “Le Royale”: teaching, guiding, managing and leading my bunch of likeminded colleagues,” he enthused. He had directed two stage dramas ‘Kalathra Yathra’ and ‘High School Musical’. ‘Kalatra Yathra’ won the awards for the best director and best script along with three other awards at the Royal College Inter House Drama Festival. He also produced the short films titled ‘Locked’, ‘Hello’ and ‘Another Day’. ‘Locked’ was screened at the Boomtown Film Festival, Winchester UK and the Atlanta Shortsfest, Atlanta Geogia, USA in 2015. His feature films are ‘Behind the Scenes’ and ‘One Star Rider’. ‘Behind The Scenes’ was screened in the International Children’s Film Festival in Lucknow, India, in 2011. 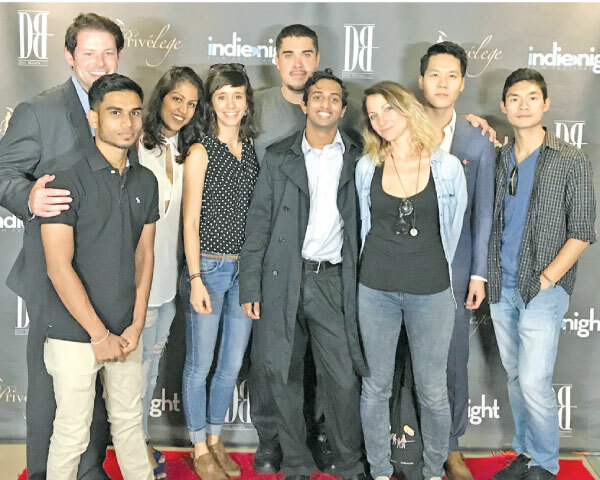 The webseries ‘Rydeshare Chronicles’ was screened at the Chinese Theater In Hollywood for the Indi Night Film Festival in 2016. It also represented the VanChan Film Festival in Vancouver, Canada and the Aab International Film Festival in India. 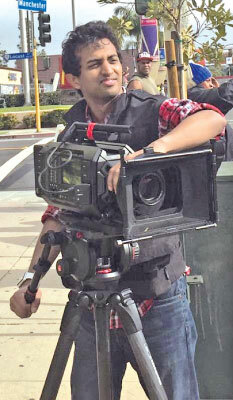 Lakpathy was also the scriptwriter and the executive producer of the Sri Lankan- American joint film production ‘Api’. Queried on what inspired him in his projects, Lakpathy notes that he is moved by heroes who fail several times over. “Every time they fail, they get up, dust them off and keep on trying until they achieve their goal one day. That is the difference between a ‘hero’ and an ordinary person. I was always a huge fan of Hollywood and British films. I used to go to the British Council and the American Cultural Center at least twice a week to pick up some DVDs to watch,” he said. “My definition of success is making the most of who you are with what you have got. We did our web series Rydeshare Chronicles only using a mobile phone camera. Film is a universal art, going beyond language, geopolitical and cultural barriers. I try to do the justice to the story when I make a movie wherever I am. I don’t believe in the practice of inserting ‘Sri Lankanness’ into each and every film simply because I am a Sri Lankan. I usually hid the name of the director until the very end of the film, even during my school days at UCLA since I wanted to watch the audience’s reaction without knowing who directed it. I envision an audience filled with global citizens,” he noted. Speaking about the challenges he faced in the industry Lakpathy says that the United States of America that he has seen in the movies and the real America are very different. “I never imagine America to be such a diverse place of culture and people judging from the films I have watched. However, there aren’t many movies made on African Americans, Asian Americans, Sri Lankan Americans or Hispanics. It’s very difficult to make movies out of those stories,” he said. Lakpathy is into talking head movies. He says that though filmmaking is a visual medium, he is a fan of heavy dialog movies. Filmmakers like Joe Wright (‘Pride and Prejudice’, ‘Atonement’) Jason Reitman (‘Juno’) Aaron Sorkin (‘The Social Network’, ‘Steve Jobs’) Christopher Nolan (‘Momento’, ‘Dark Night’) And Quentin Tarantino (‘Dejango’, ‘Hurtful Eigh’t) and Robert Rodriguez (‘Desparado’, ‘Sin Ciy’) are some of his favourites. Seasoned film journalist Aruna Gunarathna once told him that he enjoyed his films because they were genuine and advised him not to lose that quality. Therefore Lakpathy always tries to stick to Gunarathna’s words of wisdom. “I also remember Hollywood film maker Robert Rodriguez’s comment “Sometimes you are not the guy who wins the race. You are the one who set phase for someone else to win” at a guest lecture. I think this is a very good lesson, not only for the film industry, but also in other matters in life!” he mused. He had watched and closely studied all the recent Sri Lankan films. 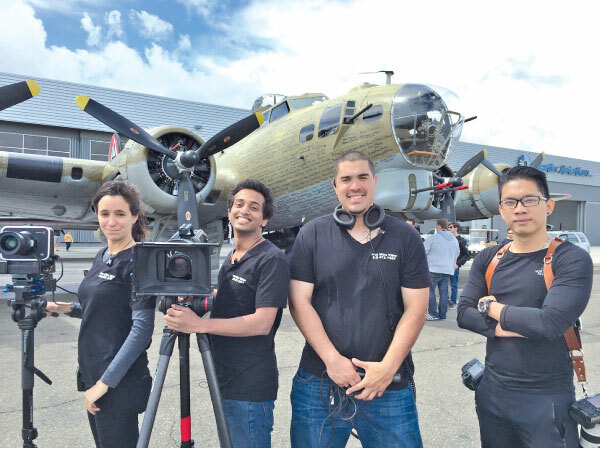 “In comparison to the many talented individuals that I had the privilege of working with from around the world, technical crews in Sri Lanka are talented or in some cases better than many people that I work with in Los Angeles. We have great camera people, great editors, great actors, but in my opinion, our industry is where it is today because of our terrible screenplays! There is not enough passion, interest, priority or importance put into writing and crafting our screenplays. It’s simply impossible to make a good film with a bad script, no matter whether it is in Sri Lanka, Hollywood, or Bollywood. I am very confident that we if we can craft the art of writing a screenplay properly, not only we can restore the Sri Lankan film industry, but also can have a significant presence in Bollywood, Hollywood and beyond,” Lakpathy opined. Lakpathy’s father was a businessman while his mother was a Science teacher who taught at Ladies College and Vidyakara Vidyalaya, Maharagama. He says that his mother was his source of inspiration while his father was his source of creativity and entrepreneurship. His brother, Dr Novil Wijesekara is a doctor attached to the Ministry of Health, working in the field of disaster management and public health. He is working on the post production stages of ‘One Star Rider’. He also has two scripts in development. One is in Hindi and the other has generated some interested from some Hollywood A-Listers. He quotes American film director, screenwriter and cinematographer Peter Hyams’ words “ If you are not prepared to be rejected , don’t try to make film, write film, direct film or act in film because you are going to be rejected” as his words of wisdom for aspiring young filmmakers. “It is very different from becoming a doctor, a lawyer or an engineer. There are no set of instructions to follow or one way to get there. It is an adventurous and risky path worth exploring. Being rejected is a part of it. If you are ready to be rejected, yet could keep on continuing your journey towards your goal, then you are ready to take up filmmaking. You got here, so you will get there!” he said. He says that until recent times his primary goal had been focused on winning an Oscar. 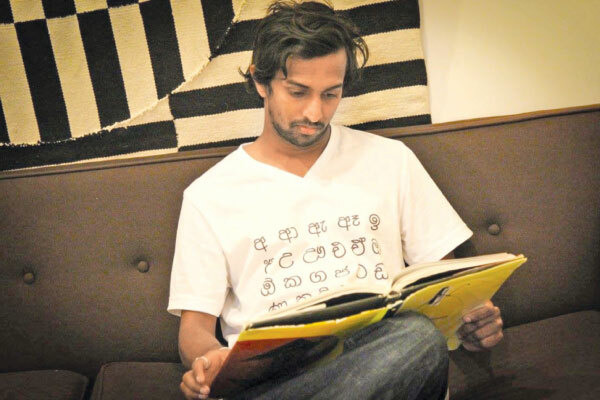 “I know this is not an easy task for a Sri Lankan filmmaker to even to dream of. Yes, I am still passionate about winning an Oscar, however, I have realized that making movies to win awards is a mundane thing. Now my goal is to stay true to my values and make authentic movies that people can enjoy beyond geographical, economical and cultural boundaries while returning the investment plus an interest to my producers. Awards and recognition are just by products of this process. So yes, along the way, If I can win some awards, that’s great,” he concluded with a smile.